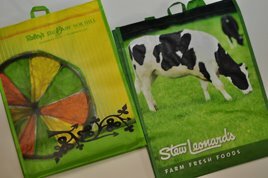 It’s easy enough to get reusable shopping bags these days, since we now have a lot of choices available to us these days. 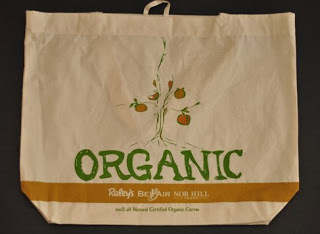 What tends to be rather difficult (although it’s really not a huge problem) is remembering to bring our reusable bags when we go to the supermarket. How many times have you gone out to buy some groceries only to remember that, “Oops, my reusable bag was already hanging by my front door but I just forgot to pick it up”? Hetal Jariwala and Eva Bauer, the creators of Flip & Tumble, decided to make reusable bags foldable so they can easily stay in your bag without taking up a lot of room. 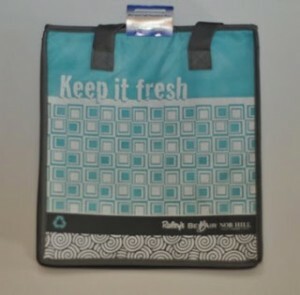 This helps to make sure that you’ll always have a reusable bag at hand whenever you need it. I read this New York Times article saying that high levels of lead were found in reusable bags made in China. Implicated were bags from some CVS stores, Wal-Mart, Target, and supermarkets like Winn-Dixie and Publix. Wegman’s grocery chain recalled its bags in September. 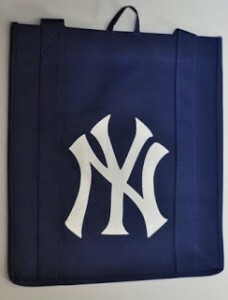 New York Senator Charles Schumer is calling on the Food and Drug Administration (FDA) to investigate and ban these bags. I heard on The Dr. Oz Show that bags, wallets, and purses made from vinyl (or PVC-Polyvinyl chloride) are toxic because they contain lead. This article states that “the worst offenders were bags that were yellow or yellow-tinted.” I for one, am horrified by this. 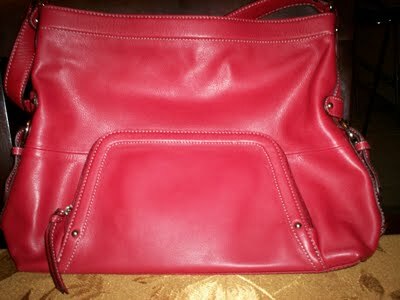 I use bags because I have to and have no intention of spending hundreds of dollars on an expensive leather purse. I guess it’s time to use canvas or vegetable tanned leather bags. Check your bags ladies, and keep yourself and your family members safe. 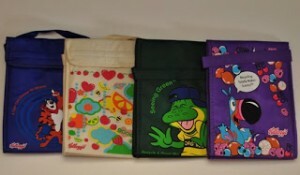 Yes, they’re all Kellogg’s bags designed for kids. It’s cute. This baby did a good job of keeping things at or near the temperature I wanted. Of course, it didn’t keep food steaming hot or chillingly cold. Just hot/cold enough. No bleach or tumble dry. 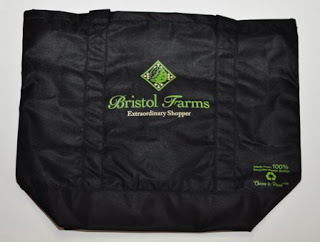 This bag was the same size and look as our Stop & Shop reusable bag. I didn’t realize that Earthwise produced Stop & Shop’s bag. That one was green, this was blue. And different logos. But that’s the extent of the difference. Needless to say, this bag is seeing much action. Don’t bleach, tumble dry or iron. The black bag and the canvas bags haven’t been truly tested yet. Just used them in mini-shopping expeditions. It’s doing well, so far. I’ll post an update once I’ve tried them during a major shopping galore. Don’t bleach or tumble dry. The Stew Leonard’s bag on the right never leaves our car because we buy produce from Stew Leonard’s. So far, each time we used it, we haven’t completely filled the bag yet. More shopping is in order. Envirosax is based in San Diego, California. Last Saturday, I put to the test their Botanica Bag 2 ($8.50) from the Graphic Series eco-friendly bags. The bag I tried was literally green, complete with a leaf design. 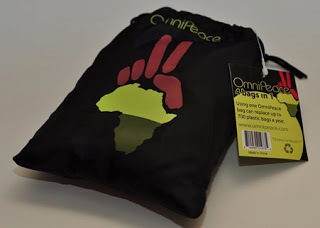 “Lightweight polyester, portable, waterproof, and weighing just 1.4oz each, these groovy bags are available individually or as a series of 5 contained within a handy pouch. 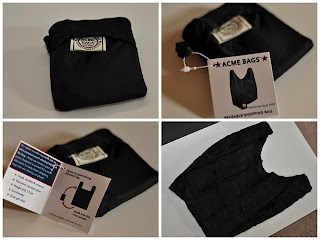 With reinforced seams, each surprisingly large bag can hold a weight the equivalent of two supermarket plastic bags. Empty, it hardly weighs anything. 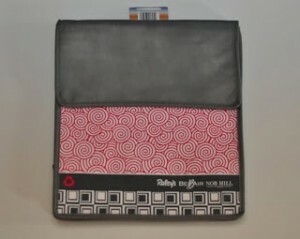 Folded, it fits in my palm, so it can easily fit in your bag, your purse, your pocket. 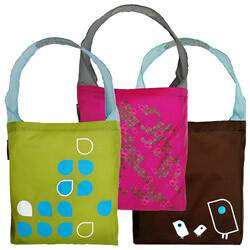 The Botanica Bag 2 is both colorful and eye-catching, adding that “oomph!” to your daily shopping routine. I brought it with me when I went to buy produce. Of course, not only did it generate questions from other female shoppers, it also stood up to the challenge of carrying the produce I bought. Anyway, the price, the color, the convenience, the portability, the fashion “oomph!” and the green-ness all add up to make Envirosax Botanica Bag 2 a worthwhile buy.